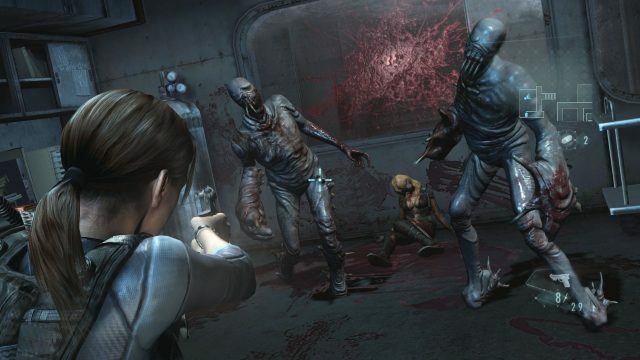 Resident Evil: Revelations, a spinoff title from the main series originally released for the 3DS back in 2012, is coming to Xbox One and PlayStation 4 before the year is out, Capcom has announced. Breaking the news on its social media channels, the developer confirms that the title will be available to buy in both digital and physical formats on both consoles at some point this fall. It was inevitable really, wasn’t it? Given how much publicity the survival horror series has accrued this year thanks to the excellent return to form that is Resident Evil 7, Capcom’s decision to capitalize on that success is a no-brainer. Revelations isn’t exactly the most reputed entry in the zombie franchise, though, and while a perfectly serviceable addition, its handheld roots could well lead to the game combating the same control issues that affected the Xbox 360, PlayStation 3, Wii U and PC releases back in 2013. How well the Xbox One and PS4 iterations are received then, depends largely on how much effort Capcom is prepared to put into the re-releases. It’s unlikely that we’ll be seeing improvements on the same scale as those made to the Resident Evil Remake originally released for the Nintendo GameCube, but we’ll have to see. Capcom says it will share more information soon, so stay tuned. If you never got around to playing the original, you can find our review here. In related news, a total remake of Resident Evil 2, announced in 2015, is currently in development behind closed doors. We’ve yet to be gifted any gameplay demos or the like for that, so one can only hope that the project is progressing at a steady rate. With any luck, we might get a glimpse of Leon’s return to Racoon City at this year’s E3.